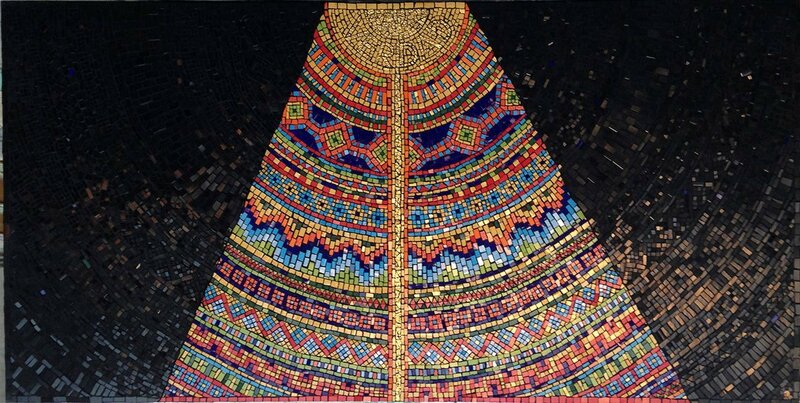 Mosaic produced for the city of Cali in Colombia during the biennial street art and mural festival on the theme of Reconciliation. Designed and made by London artist Gary Drostle. Client: Fundearte/Museo de Arte Publico, Cali.